Outperform your competition and prove that you are the perfect candidate by scoring high on your firefighter aptitude test. JobTestPrep offers online practice for many prospective UK firefighters, allowing you to simulate a real testing environment by taking timed tests. Prepare for your test today and apply with confidence. Prepare for Avon Fire and Rescue Written Test. Prepare for Lancashire Fire and Rescue Service Written Tests. There are a number of steps in the firefighter recruitment process. We invite you to get the best tips on how to become a firefighter, by following the series of articles, advice and resources found in this section. There are a number of firefighter aptitude tests you have to pass in order to have your application taken forward. Collectively called the national firefighter written test, there are three separate aptitude tests which measures your numerical, verbal and situational judgement skills. 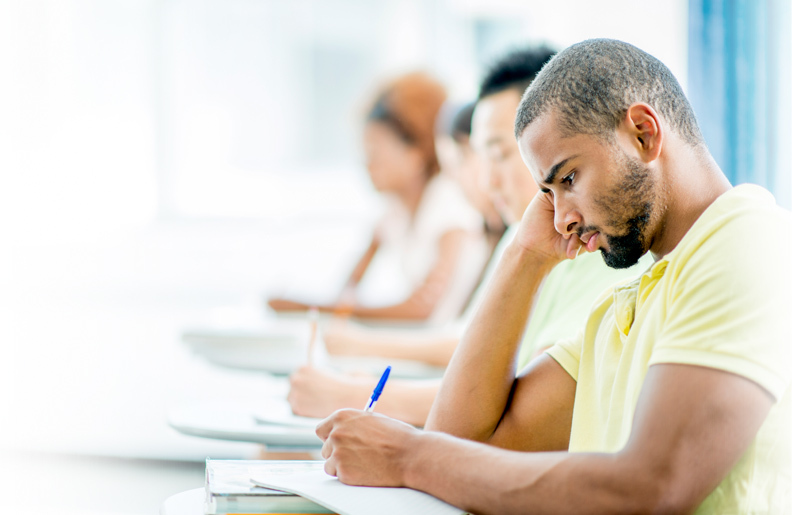 Your scores on all three tests are considered together to decide whether to take you to the next stage of the process. As well as these aptitude tests you have to pass a personality test, called the national firefighter questionnaire. On this fire service test you are given scenarios testing your numerical skills. The skills required to pass this test are used on a day to day basis and as such, the questions are based on this. For example, you will be asked to calculate how much air is left in an air tank, how much hose to use in a fire and other similar scenarios. You may not use a calculator in these tests. This firefighting aptitude test is timed, and you have 45 minutes to answer 32 questions. Our firefighter aptitude test practice packages give you familiarity with the material and calculations needed to excel in this test. Learn more about the firefighter maths test, or start practicing now. As a fireman, you are given information to act on in pressurised conditions. In this firefighter written test you are given written information generally concerning fire safety, how to deal with a fire and planning escape routes. You are asked a set of multiple choice questions, testing your comprehension abilities. Each question has four answer choices and there is one correct answer. There are typically six different scenarios with multiple questions per text. You have 30 minutes to answer 25 questions. The best way to prepare for this test is to take practice firefighter aptitude test questions that are in the same format as the real test. Learn more about understanding information firefighter test or start practicing now. As a fireman you have to be able to see a situation and make a quick decision about how to deal with it. This aptitude test assesses your ability to make decisions that ensure the safety of yourself and others, and your ability to use information to solve problems. You are given a scenario and asked to choose what your response to that situation would be from a list of four options. There are 30 questions in this test to be answered in 35 minutes. These style tests are commonly called situational judgement tests or SJT’s for short, you can learn more it here. This firefighting aptitude test assesses your attitude and motivation based against a selection of the personal qualities and attributes, or PQAs. The National Firefighter Questionnaire contains 127 questions each aimed at one of these seven areas of the PQAs. This test is a personality test. Working with others – both within the Fire Service and the community. Commitment to diversity and integrity –understanding and respecting diversity whilst adopting a fair approach to others. Confidence and resilience – staying strong and resilient in challenging situations. Commitment to excellence – approaching your work aiming and maintaining excellent standards. Commitment to development – developing yourself and others. Situational awareness – being aware of the environment around you, and using it to promote safe and effective working. Openness to change – being open to change and actively supporting it in the Fire Service and the community. Learn more about the national firefighter questionnaire. Ladder climb test – this is a test of your confidence up a ladder, including climbing up the ladder, performing actions at the top of the ladder, and looking down to describe objects at ground level. Casualty evacuation test – this is a test of lower and upper body strength. In this test you drag a 55kg weight around a course, walking backwards. Ladder lift test – this is a test of upper and lower body strength. The aim is to raise a bar off the ground, and lower it from full height to place it on a support. Breathing apparatus crawl test – this is a test of your confidence, agility and claustrophobia when working in an enclosed space. In this test, you crawl through a course in full gear, with some areas allowing clear vision, but some with obscured vision. Equipment assembly test – this is a test of your manual dexterity. You are asked to assemble and disassemble an item of equipment. Equipment carry test – this is a test of your aerobic fitness, muscular strength and stamina. In this test you have to pick up and carry objects for varying distances. Are There Different Firefighter Tests by Location? Most of the fire stations across the UK use the firefighter written tests. However, many stations have variations in their recruitment processes, with some using online firefighter tests whilst other using them only in the testing centres. For this reason we have seen fit to have specific pages on many of them. You can see the list in this section. Most applicants want to get a glimpse of a firefighter maths test that they will face before they actually have to sit it. Therefore we have prepared a short practice test to help you prepare for your test day. You need to prepare yourself fully for the firefighter written tests as they form an intrinsic part of recruitment. Here at JobTestPrep we have practice packs that follow the exact same style of firefighter aptitude tests. Take these and give yourself the best chance of success.